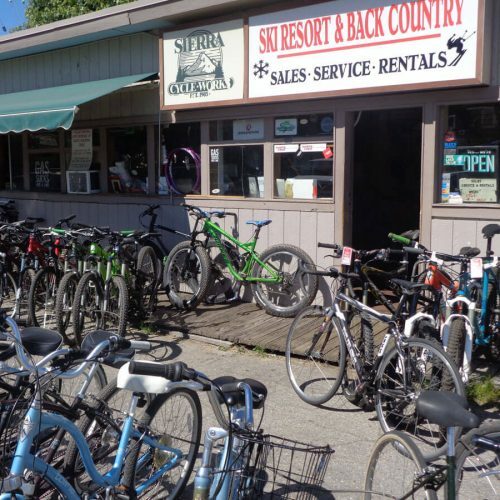 Sierra Ski & Cycle Works has been a part of the Lake Tahoe outdoor sports scene, having big fun in the little shop since 1980. Owned by South Lake Tahoe mountain bike pioneer, Gary Bell, this fun & funky shop has been feeding adventure to locals and visitors for generations. 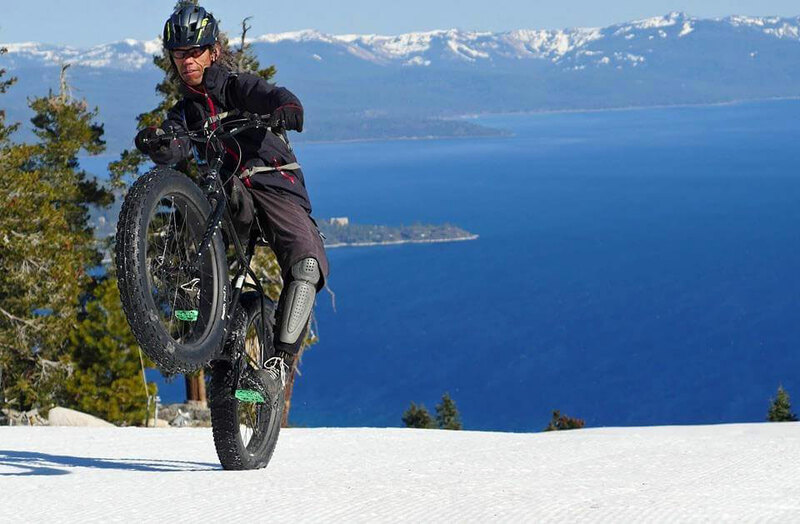 “I want to help people understand the roots of Tahoe mountain biking and skiing, and how it has evolved over the past three decades,” says Bell. A philosophy that landed him a featured article in Bike Magazine. Gary Bell moved to Lake Tahoe for a winter. Forty-four years later, he’s still here. It all started more than four decades ago when Gary decided to move to South Lake Tahoe, for just one winter. That one winter turned into 44 years and the beginning of a lifelong love affair with Tahoe. Besides his laid-back style, Gary is serious when it comes to bikes and skis which stems from his years of exploring his backyard. Gary and Chris make it a point to understand the skier or rider, the terrain they prefer, fitness level, and the fun factor expectation. 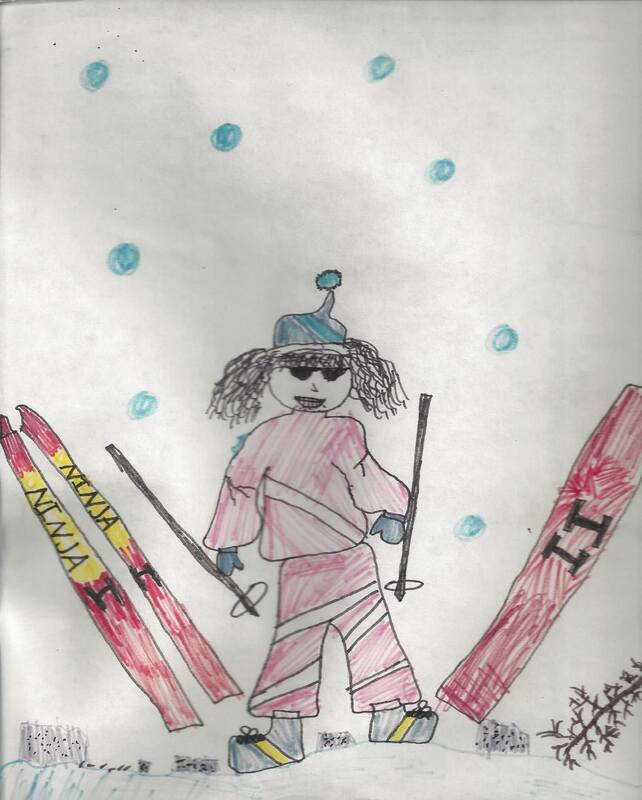 Gary fell in love with the mountains at age four during family ski trips to Alpine Meadows. 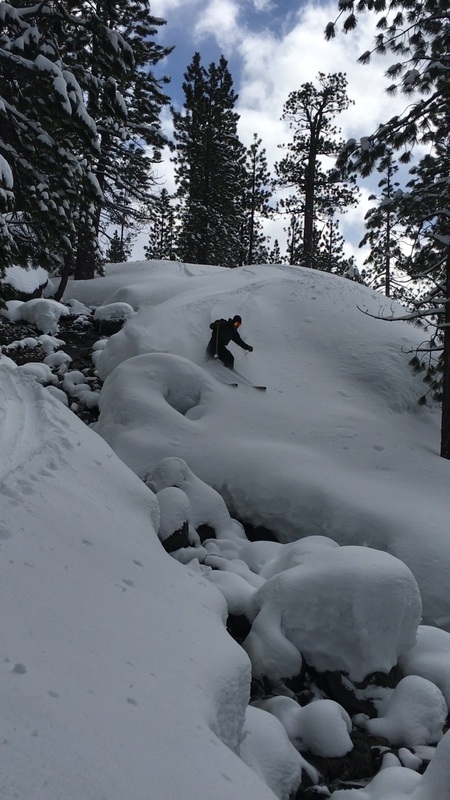 Seeking more time in the mountains than just weekend ski club trips from the Bay Area, Gary made the move when he turned 20 telling his mom and dad it was just for one ski season. Like any new dedicated ski bum back in 1976 Gary painted houses, shoveled snow off rooftops, towed people off the snow berm, and was a late night cook at the Nugget. 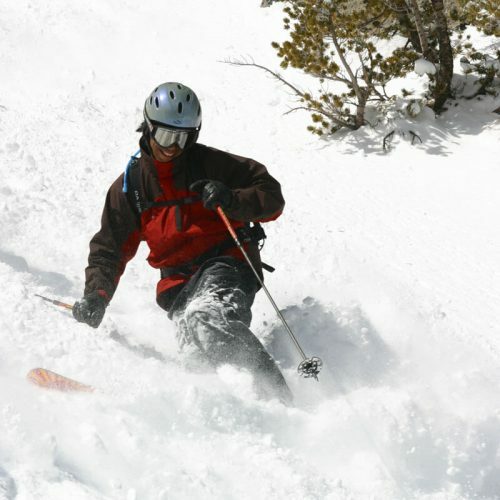 Soon he landed a ski teaching gig at Heavenly Valley while at the same time he practiced his aerials off the ski ramp into the lake at Bill O’Leary’s World Freestyle Training Center at Zephyr Cove. During the summer he worked for Frank at Tahoe Bike Shop and at the Clean Machine for Bill Miller. 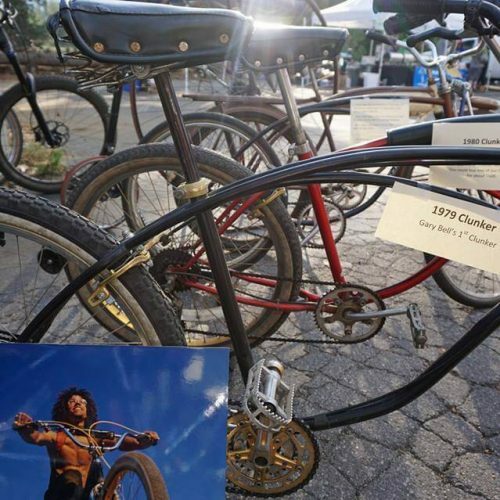 It was then when Gary and long-time friends Geoff Clarke and Gene St. Denis started exploring all the back-country trails on the first Tahoe-made mountain bikes called Clunkers that they built in 1978. Made from beach cruiser frames and big heavy tires, Gary and his buddies would ride their Clunkers all over, connecting abandoned hiking trails they called the “Cabin Ride” and “Tin Shack Ride.” Following one of their more crazy descents down Saxon Creek, they named the trail Mr. Toad’s Wild Ride – South Shore’s most famous trail to this day. Today, you can still find Gary and Geoff, a certified ski guide, deep in the back-country on their bikes or skis. Gene – still a wild man – continues to turn people onto nature through fishing at Lake Tahoe with his company Blue Ribbon Fishing Charters.With old Tahoe memorabilia decorating the walls and busting at the seams, Sierra Ski and Cycle Works is the unofficial official Tahoe bike and ski history museum. You can check out a Tahoe Clunker built by Gary in 1978 and share your own Tahoe trail tails with others at the shop daily. "Big fun in the small shop since 1980"
Sierra Ski and Cycle Works has witnessed first-hand the evolution of the gear for getting into and around the mountains. In some cases, when the innovation didn’t happen fast enough, we did it ourselves. Gary purchased his first cross country skis from Jack Francis of Rock Bottom Sports which is the current location of SSCW. When Jack closed his doors, Gary took over the space in 1980 and created a corporation with two partners that focused on used ski gear. The Ski Trading Company had three locations; one in Kings Beach, Squaw Valley, and its current spot on Hwy 50 in the middle of South Lake Tahoe, next to Safeway. Gary and his friends loved the freedom of back country skiing and soon the shop was retrofitting the soft leather x-c ski boots with downhill boot cuffs to make them stiffer. Always the innovator, Gary created a releasable telemark ski binding in the early 80’s, before Voile. However, he never went anywhere with his original design, except up to Heavenly Valley. Soon he was kicked off the mountain for having an “illegal binding.” After a ski meeting with HV mountain manager, Malcolm Tibbetts, Gary was issued a special pass that gave him permission to ride the lifts and use his newfangled gear. 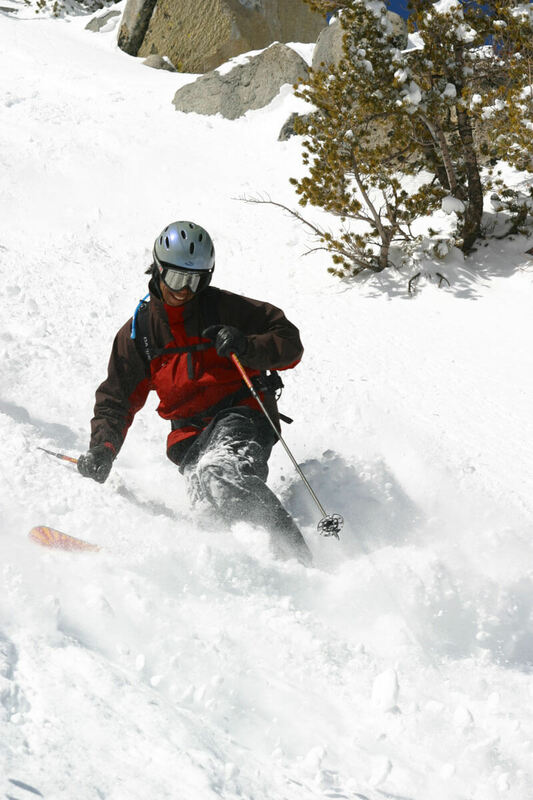 By the mid 90’s, telemark skis and equipment were transformed to handle bigger all-mountain terrain – finally. Like a kid in a candy shop, Gary happily introduced everyone to telemark skiing along with split snowboards to help us get further into the mountains. Today, SSCW remains the quintessential back country ski shop in Lake Tahoe that rents and sells skins, shovels, probes, beacons and avalanche safety & preparedness kits. 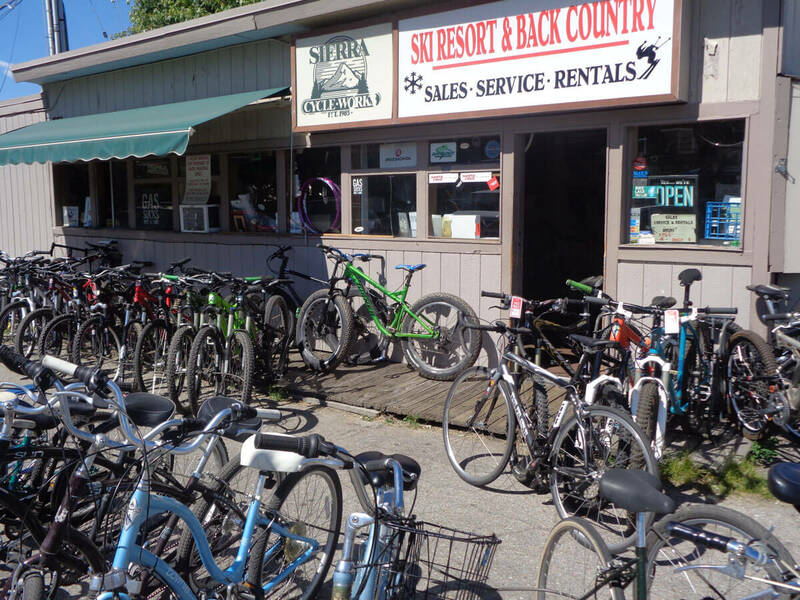 In 1983, the corporation changed its name to Sierra Ski and Cycle Works and became a full-service ski and bike shop. 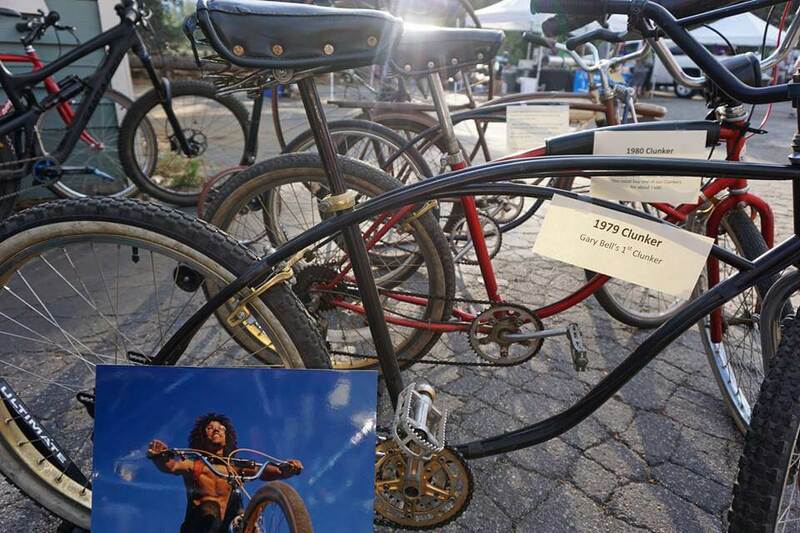 SSCW carried SR, Raleigh and Specialized bikes, and became the top Specialized Dealer in Northern California in the mid 80’s. 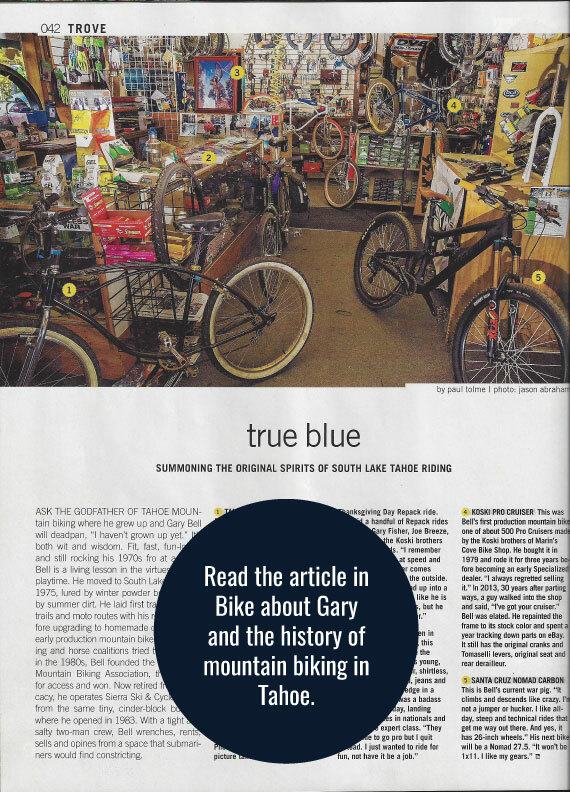 By 1988, mountain biking had taken hold and Gary started TAMBA, the Tahoe Area Mountain Bicycling Association, along with Kathlee and Jesse from North Shore. The three developed a model program driven by volunteers who helped to build trails and educate riders to assist the USFS. Although never called upon, TAMBA even developed a bike search and rescue team, a first in the nation. TAMBA continues strong to this day with a new fresh crew. Gary mastered his technical bike handling skills in the early 1980s when he competed in bike trials next to Hans Rey. Sponsored by Raleigh and Yeti, he placed second in the Worlds and Third in Nationals in the Expert Division. He quit the circuit when it felt like a job. Instead, he prefers to take his friends on epic multi-day bike adventures that, so far, have traversed the Sierra from Tuolumne to Buck’s Lake. Those invited have learned to bring a head lamp, extra clothing, food, positive attitude, Advil and a water pump. 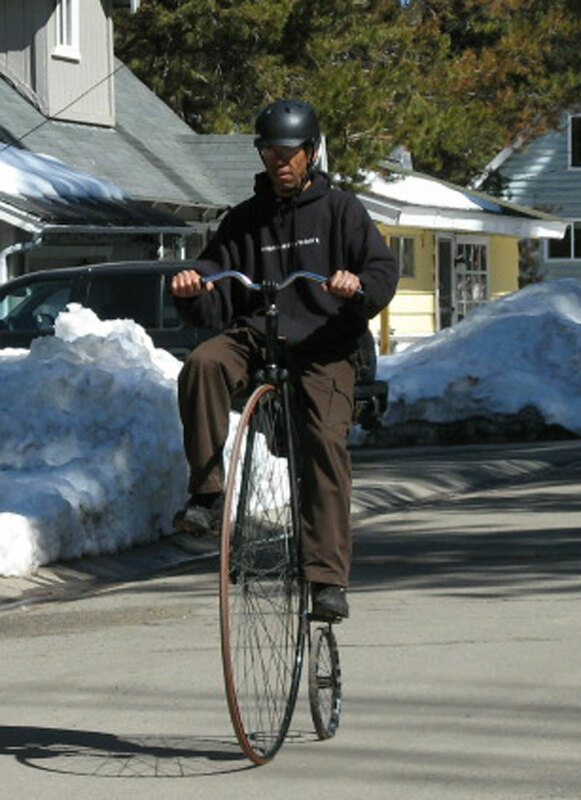 Gary can often be spotted riding around town on his vintage penny farthing. Chris has a deep passion and respect for the mountains, and innate skiing and biking skills forged during his childhood. Son of an artist, ski instructor and custom car fabricator, Chris was skiing at age three and wrenching on bikes and cars next to his dad at age five. 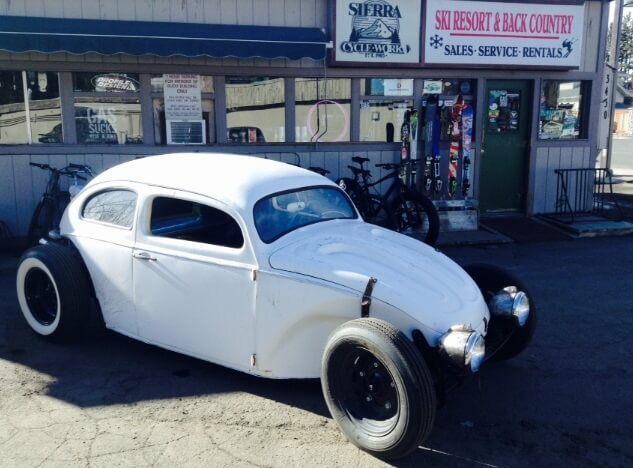 As a teenager growing up in Grand Junction, CO, Chris began snowboarding and was a jibber and racer at his stomping ground mountains Powder Horn, Snowmass, and Sunlight, and started restoring his first VW at age 15, which has now added up to roughly a couple dozen along with several other classic car and bike restorations. Spending summers with his artist mom in Hilton Head, SC where he also worked at a surf and bike shop, Chris honed his trademark skills based on classic form, art, and function – that he applies to every ski tune, bike build and repair, and his passion for bikes, cars and ski toys to this day. 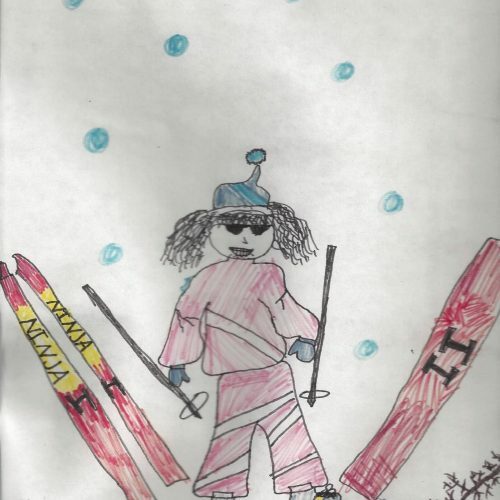 After a brief stint in North Tahoe in 1993 skiing at Squaw and Alpine Meadows, Chris moved to South Lake where he used his auto body skills working for South Side Auto Body, then cooked it up at McP’s (Chef Boy-R-Drake) and tuned skis at Rainbow Mtn. before he finally landed at Sierra Ski and Cycle Works. For the past 20 years, Chris has played an integral role in the shop’s success where his artistic craftsmanship and skills can be found in every ski and every bike he touches. 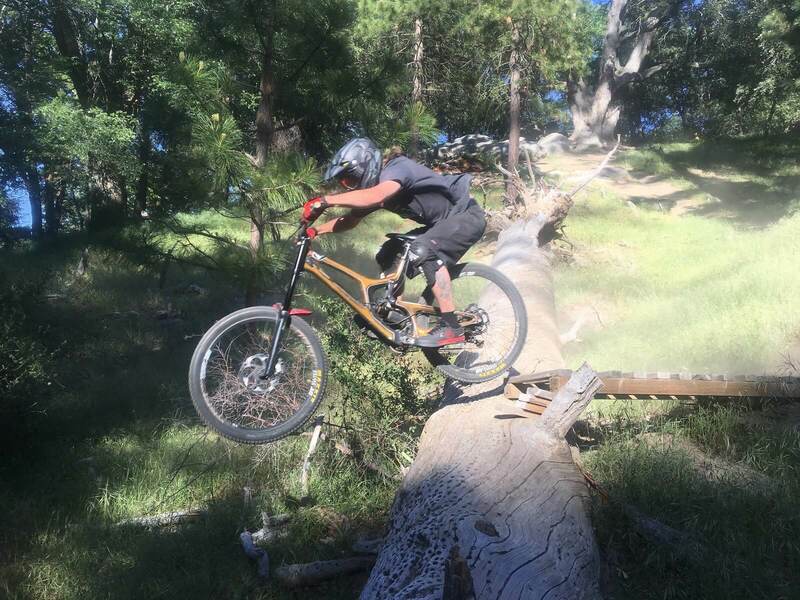 When he’s not turning on families, beginners or experts to skiing and biking, Chris can be found deep in the mountains or desert playing or racing downhill bikes or hare scramble moto racing. Next to his boss and friend Gary, Chris and Tasa have never missed a SSCW Equinox Ride and have plans to push the ride further. The adventure never ends at SSCW.